The first environmentally-friendly dry-cleaners in a green embrace – a new and safe process which does not pollute the air, water or soil! For the first time ever, you and your clothing have a real choice. 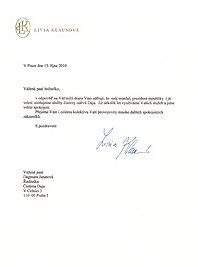 Dear friends, our reputation means a lot. 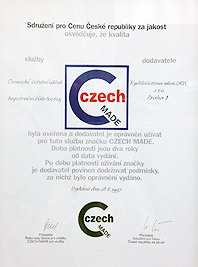 This is why we have exerted a significant amount of effort and invested a lot of money in order to be the first in the Czech republic in 2012 presented and to set into operation a completely new and safe system of cleaning, which is environmentally friendly and also gentle on clothing, and finally you - customers. "We are here with you for over 20 years and we are still setting tempo in our branch!" 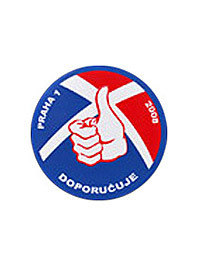 Most dry cleaners the Czech Republic use synthetic chlorinated hydrocarbons, so-called perchlorethylene, which the EPA classifies as a dangerous substance. 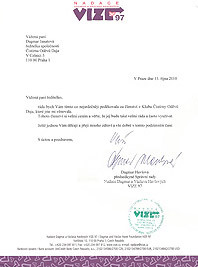 California was the first to accede to a ban on use of these substances, other countries have proposed similar steps and Daja Dry Cleaners is the first in the Czech Republic to offer you the real possibility to choose. You can feel good about yourselfuse of the system of cleaning in a Solvon K4 bath does not represent any risk for people, the air, water or soil. It is safe for the skin and suitable for people with allergies as non-allergenic and non-irritant. Cleaning in this bath is good for the skin and for the clothing which you wear and which you breathe. At Daja Dry Cleaners Prague and Hradec Kralove, we always perform good honest work with an emphasis on detail, which places high demands on the professional knowledge of our employees. We provide a perfect clothing service for you free from stains on a daily basis. 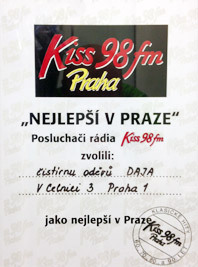 The main award however came from satisfied customers in the competition announced to find the best express dry cleaners in Prague held by Radio KISS and recently the City Council for Prague 1. 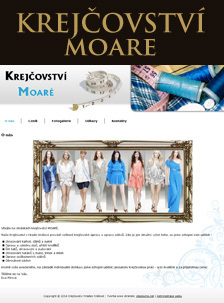 Acknowledgement for our good level of care and high quality work in the field pays off in terms of recommendation s from clothing and modelling companies, which are happy to use our services (Marks & Spencer, Taiza, Versace, BOSS, H. Fejková, etc.) and they recommend us to their customers. 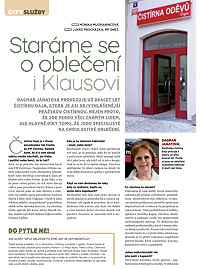 We also cooperate with magazines, which we provide consultation to about the differences of cleaning nowadays and the practices of home treatment of clothing used by our grandmothers. The Daja dry cleaners has at its disposal environmentally friendly machines, uses modern technological methods of cleaning clothes and treating fibres after cleaning – so-called Finishing - (renews resistance to creasing and resistance to dirt). The work of the dry cleaners is very gentle on the materials to preserve their lifespan. Job orders are ironed by hand on professional ironing boards, which prevent the material from being over-ironed and becoming shiny. Men’s shirts are especially airy and a pleasure to wear. 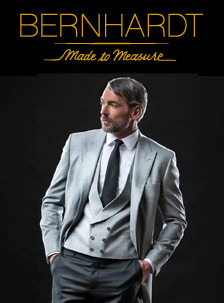 With the support of luxury brand partners and leading designers, dry cleaning Daja spreads awareness of the brand and looks for special marketing opportunities and campaigns. Operator: International trading and consulting company s.r.o. If you are interested in high quality services, contact us and we will extend our services to include you.